SayABC Review: Is Teaching ESL for SayABC a Scam? SayABC is an online education platform. They bring English as a Second Language (ESL) learning opportunities to young children in China. In this review, I will tell you everything about the work at home opportunity with SayABC and determine if it is a scam or legit. Teaching English online is one of the most popular jobs right now, but the early morning schedule won’t be for everyone. Check out My #1 Recommendation to learn how you can make money online and set your own schedule, it’s how I made over $13,000 online last month! VIPKid, another ESL company is actively searching for new tutors. They pay up to $22 an hour! Learn more by reading my full VIPKid Review! Below are the requirements to teach ESL for SayABC. There are 4 steps to becoming an ESL teacher for SayABC. Interview – When you have been offered an interview, SayABC will provide you with a link to download the teaching platform software. The interview will consist of a 40-minute session on their platform, 15 of which will be you doing a mock lesson. How Much Does SayABC Pay? The current pay rate is $15 per 40-minute class. You can also receive an incentive of $6 per lesson based on performance. If you’re willing to be on standby (that means you are available to be contacted at the last minute to teach a lesson that was originally assigned to someone else), you will earn a $7 bonus. So that’s up to $28 per hour. You can also teach what they call a Trial Class. You can get $8 for every student you teach in a Trial Class that converts into a paid student. Contracts are 3 months. When you renew your contract with SayABC, you will be evaluated for a raise! As with most work at home positions we review, SayABC ESL teachers are contracted. You’ll be responsible for your income reporting and taxes based on the state or country that you live in. SayABC processes payments to teachers on or before the 15th of each month. It sounds like you’re being paid monthly. This is always hard at first, but once you’re working for a period, it will become a normal flow. Payments are made via wire transfer. I had to Google it to see if this is the same as direct deposit and it is not. 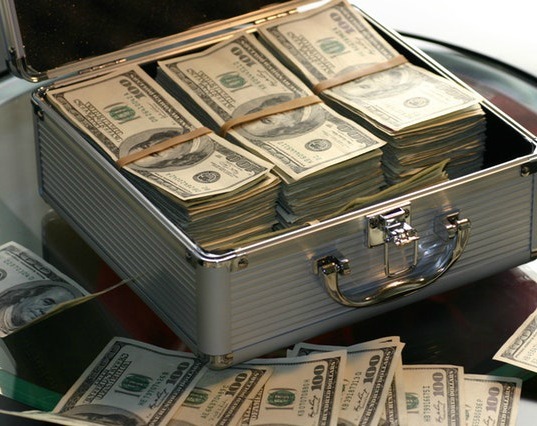 The good news with wire transfer is that you should have access to your money within hours. The bad news is that you might incur a fee from your bank to receive it. More good news though, none of the reviews said anything about an extra fee for the wire transfer. Lessons are booked a minimum of 24 hours before the start time. If someone wants to attend a class on short notice, SayABC will contact you via Skype to confirm your availability. During the summer months of July and August, homerooms will be assigned to ESL teachers every Saturday. Afterward, you can go into the portal and see the list of homerooms you’ve been assigned to for that week. They do have a process in place if you are sick and need to cancel your assigned class or classes. SayABC signs 3-month contracts with ESL teachers. If you need to take time off during your contract, they ask for a 2-week notice. The current system that SayABC uses to assign teachers to homerooms is a computer system that matches the teachers’ and students’ availability and needs. The computer system is set to give priority to teachers who are able to teach in a homeroom from beginning to end, which is a 9 day period, minus Saturday and Sunday. So you should be able to increase your bookings by being regularly available at the same times. SayABC ESL teachers teach the same four students for at least 3 months. Classes are at the same time, 3 times per week. SayABC provides all of the materials to be taught, but teachers need to prepare for class by reviewing the material beforehand. But don’t worry if you have back to back classes, because the material is available to be reviewed as soon as the class is assigned to you. Is Teaching ESL for SayABC a Scam or Legit? Based on my research, teaching ESL for SayABC is Legit! If you are a teacher, have experience teaching, or are an education major, you should totally check this out! This is one of the highest paying WAH positions I’ve seen in awhile! Go here if you want to start the application. 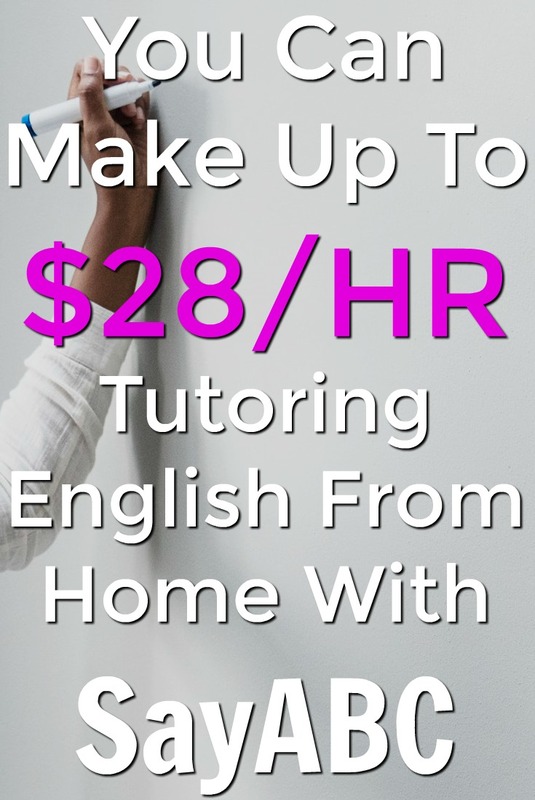 5 Work From Home English Tutor Jobs Hiring Now Paying $19-$22 Hour!